These are shims used under the piston in the front cover oil pressure regulator when using a higher-than-stock pressure main oil pressure regulator in the rear plate. They may also be used in the old, adjustable-style main pressure regulators. 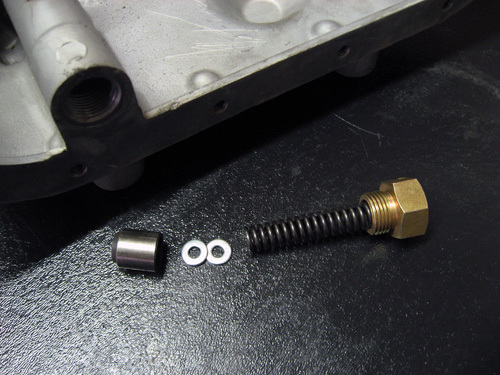 We recommend 2 shims in the front regulator when used in conjunction with a modified pre-FD main oil pressure regulator under about 85 psi, or 3 shims if you are using an FD or similarly high pressure main regulator. Comes in package of 10.